Backlit 80-character LCD display (20 characters x 4 lines). Mimics all display information from the host panel. Control switches for System Acknowledge, Signal Silence, Drill, and Reset. Control switches can be independently enabled or disabled at the FACP. Keyswitch can be enabled or disabled at the FACP. 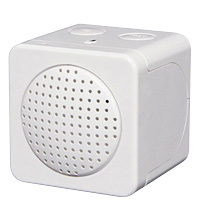 System status LEDs for AC Power, Alarm, Trouble, Supervisory, and Alarm Silence. Local sounder can be enabled or disabled at the FACP. ANN-80 connects to the ANN-BUS terminal on the FACP and requires minimal panel programming. 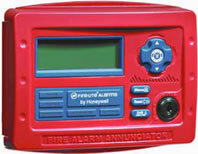 Displays device type identifiers, individual point alarm, trouble, supervisory, zone, and custom alpha labels. Aesthetically pleasing design constructed of durable Lexan. Surface mount directly to wall or to single, double, or 4" square electrical box. Semi-flush mount to single, double, or 4" square electrical box. Can be remotely located up to 6,000 feet (1,800 m) from the panel. Backlight turns off during AC loss to conserve battery power but will turn back on if an alarm condition occurs. May be powered by 24 VDC from the host FACP or by remote power supply (requires 24 VDC). Up to eight ANN-80s can be connected on the ANN-BUS. 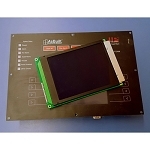 The ANN-80 annunciator is a compact, backlit, 80-character LCD fire annunciator that mimics the Fire Alarm Control Panel (FACP) display. It provides system status indicators for AC Power, Alarm, Trouble, Supervisory, and Alarm Silenced conditions. The ANN-80 and the FACP communicate over a two-wire serial interface employing the ANN-BUS communication format. Connected devices are powered, via two additional wires, by either the host FACP or a remote UL-listed, filtered power supply. ANN-80 is red; for white, order ANN-80-W.
Up to eight ANN-80s may be connected to the ANN-Bus of eachFACP. No programming is required, which saves time duringsystem commissioning. 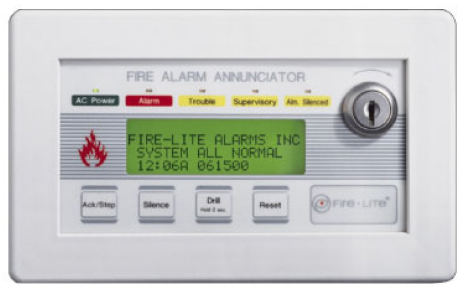 The ANN-80 annunciator is a compact, backlit, 80-character LCD fire annunciator that mimics the Fire Alarm Control Panel (FACP) display.